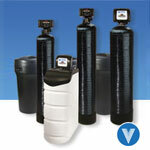 Use a VERTEX PureWaterSoftener™ to eliminate limescale buildup on pipes, fixtures and water heaters in homes and businesses. Reduce detergent use up to 70% and Increase water heater efficiency by as much as 29% for gas or 22% for electric. Get cleaner, softer clothes while reducing appliance and plumber service costs. 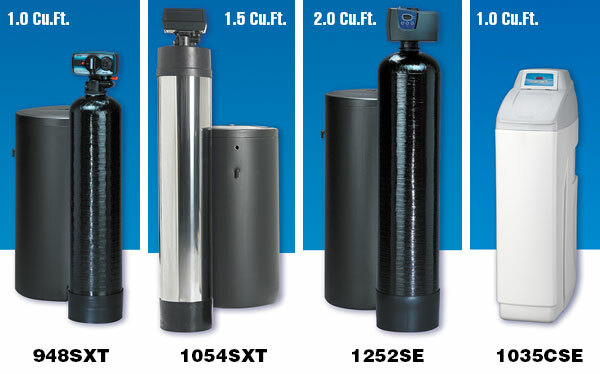 Choose one of 3 sizes up to 60,000 grain removal. Overall Dimensions H-56", W-27", D-15"
H-62", W-30", D-17" H-45", W-12", D-24"